When I built my first website, it was for my husband's real estate business. And, I had no technical or design skills whatsoever. I felt proud of myself just for knowing how to send email and perform searches. And, to top it off, I was not exactly what you would call a marketing genius. Nevertheless, in a matter of months I had built a website that generated leads that created over $35,000 of additional annual income in real estate commissions! The reason I believe that site was so successful even though I was clueless about building a website and web marketing is that it was all about the visitor--not about the agent (as so many real estate sites are). Yes, the site contained information about my husband and his listings. But, the bulk of content was free, useful information that home buyers were looking for--things they would need to know about the area, about the home buying process in general and even about real estate investing. So, how did I come up with this brilliant marketing strategy that warmed buyers up to hiring my husband before they had even met him? I didn't. I stumbled onto a book called Make Your Content PreSell. It was written by Ken Evoy, the creator of Site Build It (SBI). Pre-selling is all about communicating, being yourself and building relationships. It's NOT about selling; which is lucky for me since I've done rather poorly at the few short-lived sales jobs I've had. But, pre-selling--talking (or writing) about something I know in a coversational way--that I can handle. And, in fact, I discovered I enjoy it. When the bottom fell out of the real estate market in our area, my husband weighed his options and decided his best strategy was to pursue another career. I whole-heartedly supported his decision. But, I knew I was going to miss having my fingers in the web business pie. So, I started a new SBI site. And, this time I decided it would be about something I really cared about and had a passion for. I had several ideas in mind. But, SBI's keyword research tool (Brainstormer) showed me that among my top choices that a site about pit bulls had the best demand/supply ratio and the best profitability potential. 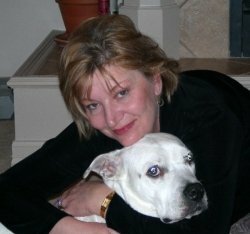 How does a web site about pit bulls (or any hobby oriented site) make money you ask? There are lots of options. And, I currently only use a couple of them. There's contextual advertising like Google Adsense, Infolinks and Chitika. There are literally hundreds if not thousands of companies on the net that will pay affiliate commissions for sales of their products including the "big box" names like Amazon. There are websites like Cafe Press and Zazzle that will put just about anything you design on a t-shirt, coffee cup or tote bag and set you up with a virtual store where you can sell them. Writing an e-book or creating an instructional video that visitors can download for a fee is yet another possibility. I could go on. But, the point is the possibilities for income in any niche are primarily limited by your imagination. To get an idea of what's possible and the different ways people have approached creating income from their sites, check out these case studies. Did you look at those case studies? Amazing aren't they. I should emphasize, in case you are considering doing this yourself, that this is NOT a path to overnight riches. Everyone who has achieved any measure of success with an internet business will tell you it's work. But, when you're doing something you love, it doesn't really feel like work. So, now that you know what's possible, it's up to you. I hope you've enjoyed my story and the case studies. And, I hope you're enjoying this site. As one dog lover to another, I'd like to offer you a gift. It's the book I mentioned earlier that inspired me to build my first site and this one. And, it's yours for the taking. Just click the icon on the left to go to the download page. Whatever your endeavors, Make Your Content PreSell will show you how to communicate, how to connect with your readers and how to profit well from your efforts--without resorting to hype. If you'd like to learn more about how you can build your own profitable website--even if you're a total newbie--watching this two minute video will give you an introduction to the process. Note: When you purchase a product or service through a link on this page, you may be helping to defray the costs of operating this free, informational website. Find out more.